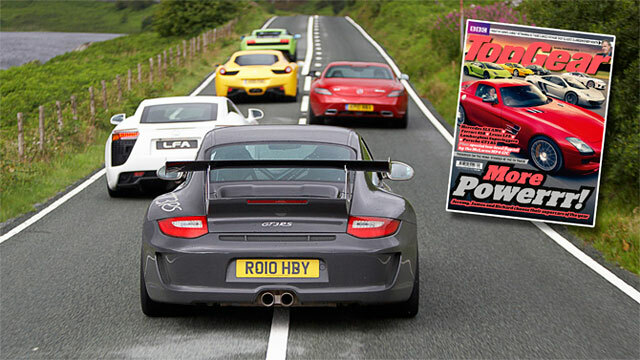 Last month, a video showed up on Youtube showing a Lexus LFA, Mercedes SLS, Porsche GT3 RS, Lamborghini LP 570-4 Superleggera, and Ferrari 458 all parked on the side of a UK road — turns out this was the work of Top Gear Magazine, who pulled the “five greatest supercars of the year” together for a showdown. Travis: Just imagine the sound of those cars all doing a fly by together... Automotive goodness.